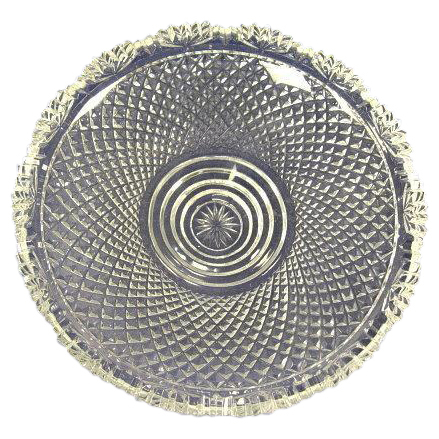 One Of A Huge Selection Of Crystal Replacement Epergne Bowls. This Is A 7" Diameter Bowl, Standing On A Graduated Stepped Base. The Diameter Of The Steps Vary Which Mean It Can Fit A Variety Of Openings. This Particular One Has Steps With Diameters Of 2.5",2.1", 1.8", 1.35" and 1", So It Could Fit Anything With An Opening Of Between 2.5" Down To 1", But Obviously They All Vary Slightly As They are Hand Cut. Hundreds Of Other Sizes & Styles Available, By The Piece Or Complete Sets..